With the growing demand for flexible and agile solutions, most enterprises opt to shift their IT applications and systems to the cloud. Fast-track your low-risk migration to AWS Cloud and achiever greater operational efficiency, better security, investment value, lowered costs with the Tricension AWS DevOps cloud migration model. Tricension AWS DevOps services will support your digital transformation journey using time-tested methodologies, cutting-edge tools, and automation processes. Our team of dedicated IT professionals will optimize your applications for security, stability, reliability, and performance. Our DevOps-enabled cloud migration process will not only help you transition to AWS cloud safely and quickly but will add additional value to your processes through automation allowing you to leverage the advantages long after your migration process had been completed. AWS DevOps practices allow organizations to deliver products at a rapid speed providing a competitive advantage and faster time-to-market. DevOps cloud migrations rely on automation thus reducing the risks and costs while increasing agility and transparency. Enterprise platform migrations completed using DevOps practices deliver long-term business opportunities through repeatability, faster deployment with reduced risks and iteration at a rapid pace. Planning. All applications will be carefully assessed and all their interdependencies will be analyzed and documented. We will work with you to define a detailed roadmap and a target architecture that will guide the entire cloud migration process. Proof of Concept. We use proven DevOps practices to make sure that your cloud migration process is seamless. First, we will build a POC to validate the approach. We will not execute cloud migration until all issues identified at this stage are fixed. Governance. We know that governance is paramount for any cloud migration project and we will devise the best approach based on your specific requirements. Execution. Our solution architects and engineers will work with you to enable fast, secure and cost-efficient cloud migration. Support. Our offering includes both on-site support and training programs that will help you get the most out of your new AWS cloud environment. It is a source control service, designed to make it easy for your company to build and manage private Git repositories. With AWS CodeCommit you do not need to worry about scaling. You can use the service along with your existing Git tools. This service helps define your release process models and helps to build, test and deploy your code with ease. AWS CodeBuild component is designed to compile code, automate testing, and build packages that are ready to be deployed. This service automatically deploys code either to EC2 instances or to on-premise servers. It is designed to automatically scale any application, making it easier to release new features that are stable, secure, and catered to increased workloads. Integrating DevOps Continuous Integration (CI) and Continuous Delivery(CD) processes into your existing workflows and operations will allow your development teams to quickly react to market changes and release new features with speed and effectiveness. We will provide support to deploy your application code, automate software release processes, and monitor your applications after release to production. We know that a successful digital transformation process needs to be supported by the best tools. Our proprietary tools allow us to conduct a thorough analysis, build and execute the right AWS cloud migration strategy based on your current needs and future goals. Tricension will become your reliable cloud journey advisor and partner, who will not only deliver seamless migration to the cloud but will also help you leverage new possibilities taking full advantage of your cloud journey. 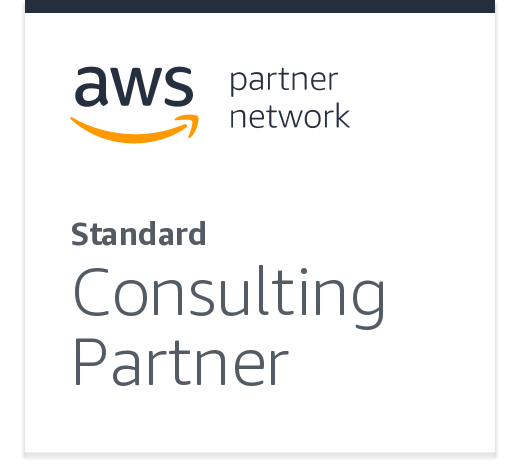 Tricension is a proud member of the Amazon Web Services Partner Network with proven track-record of successfully completing large-scale enterprise AWS cloud migrations, supporting enterprise needs through each step of workload migrations to the cloud. We will guide you through every step of the journey providing experienced staff, tools, training, and ongoing support. We apply AWS DevOps methodology approach for a secure and clear migration and implementation strategy of moving to AWS.